Roy, Dale and his parents answered every fan letter, which came in by the thousands. Opening up their hearts to several adopted children, starting the Happy Trails Children’s Foundation and always, at every live performance, they always provided invitations to children without the ability to afford a ticket, seats up front and center were filled with these young fans. At each stop on the road, Roy would put rubber booties on Trigger and they would visit children’s hospitals across the country. Trigger would hold one end of the jump rope, Roy the other and the children would jump, laugh and have the memory of the King of the Cowboys and The Smartest Horse in the Movies as their playmates for the day. 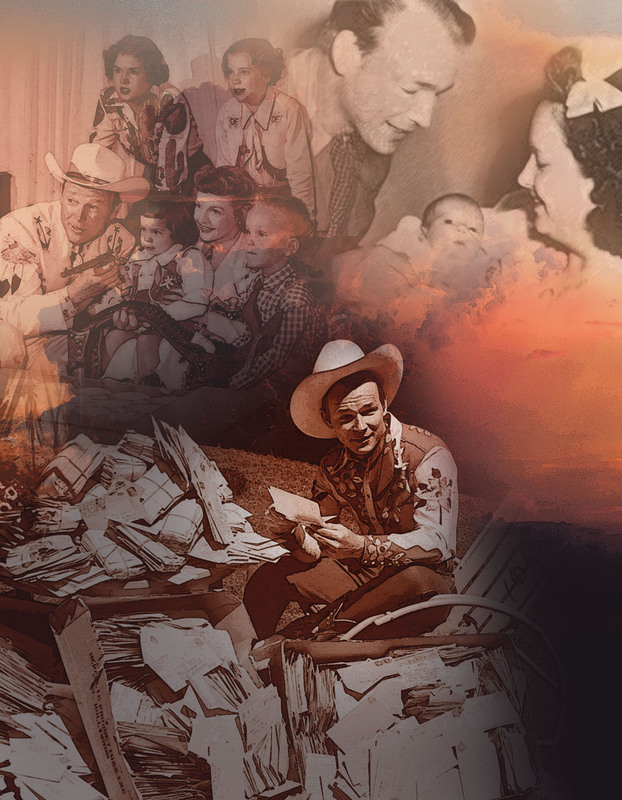 Even today, as Dusty travels from performance to performance, there’s no end to the number of Roy Rogers stories he hears. Roy and Dale, lives well lived.